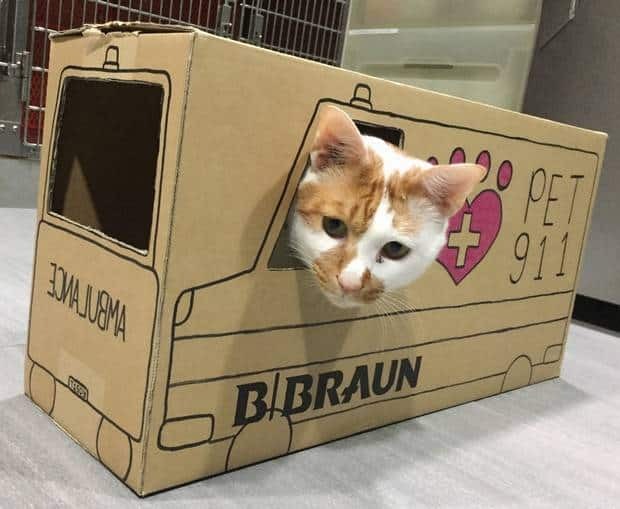 Plain, square, brown boxes just won’t do for this former street cat! 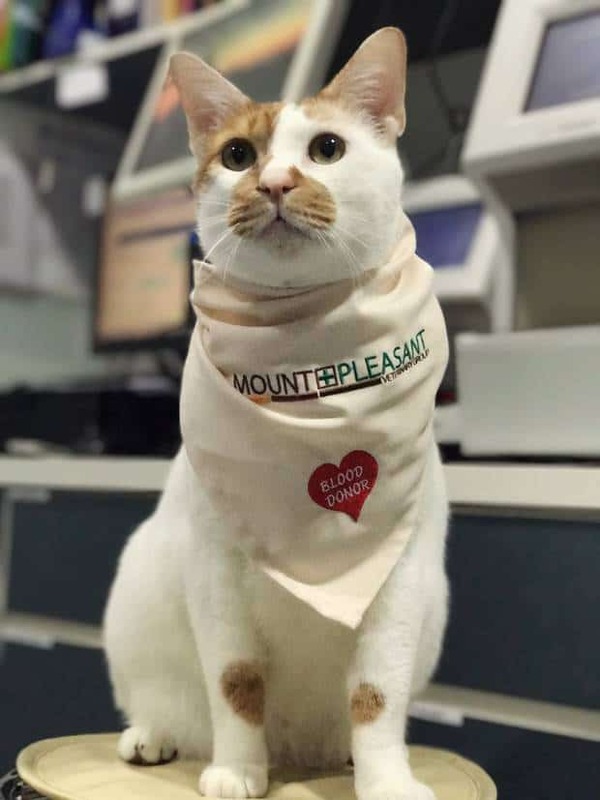 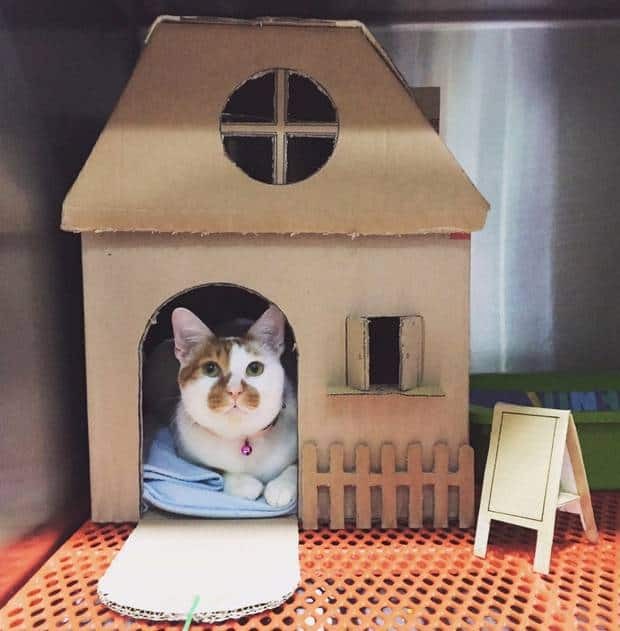 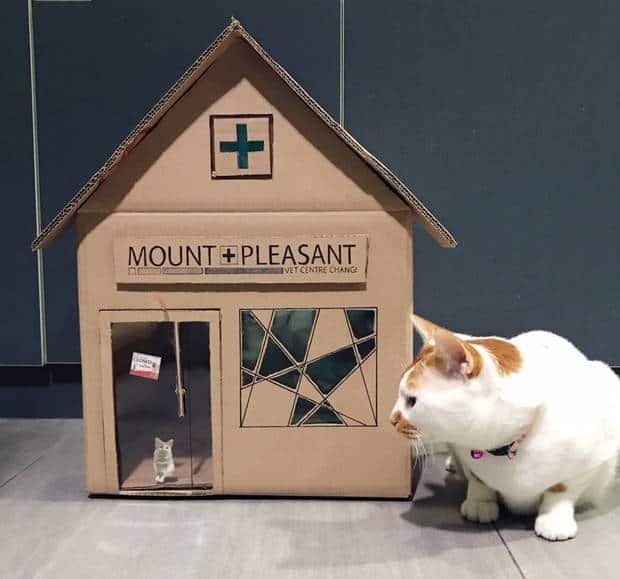 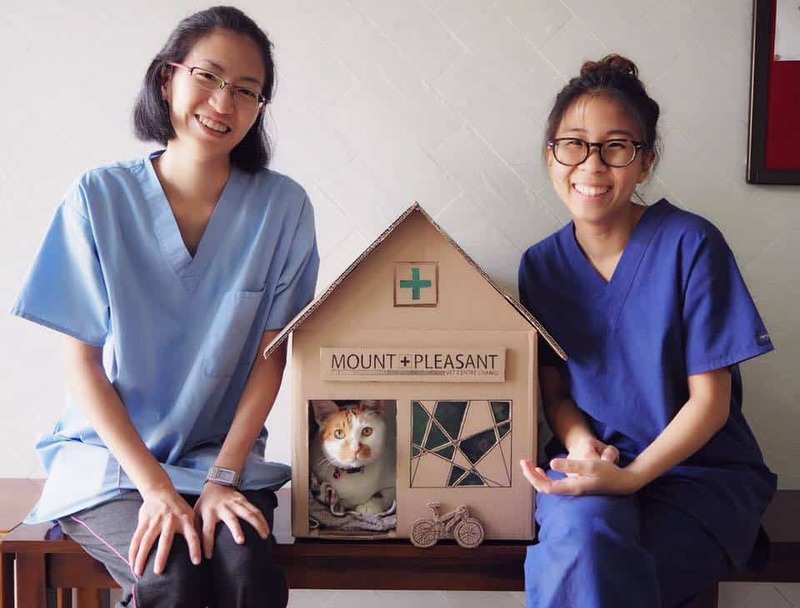 You’ve gotta check out the amazing cardboard houses the techs at this vet clinic create for their resident kitty. 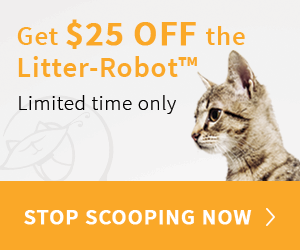 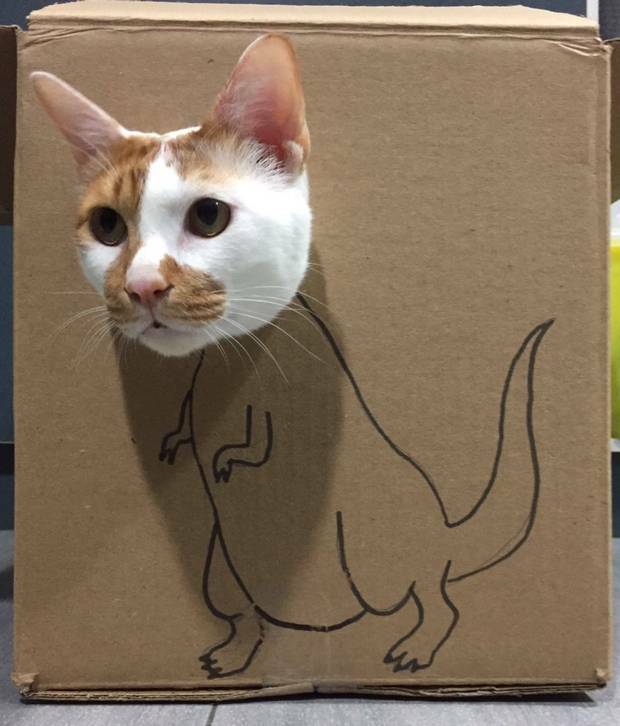 They’re as cool as the cat they create them for! 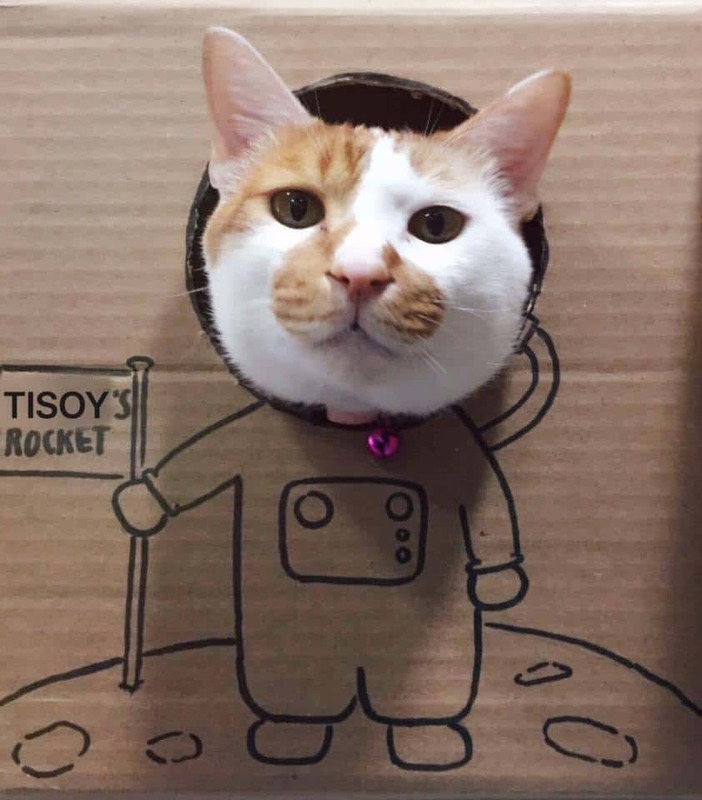 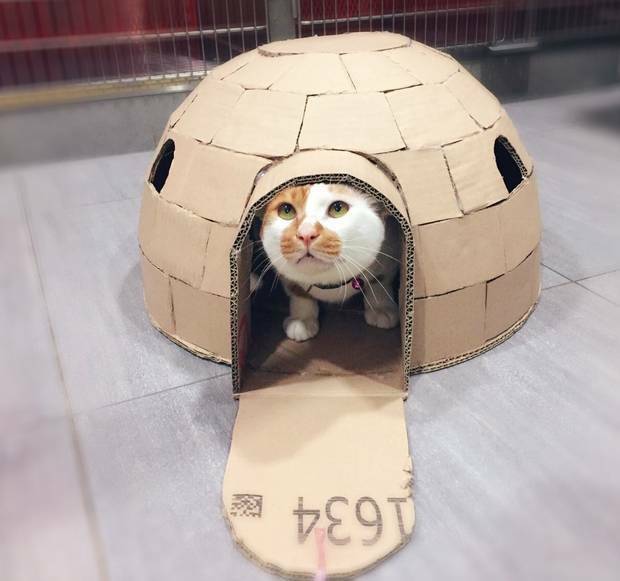 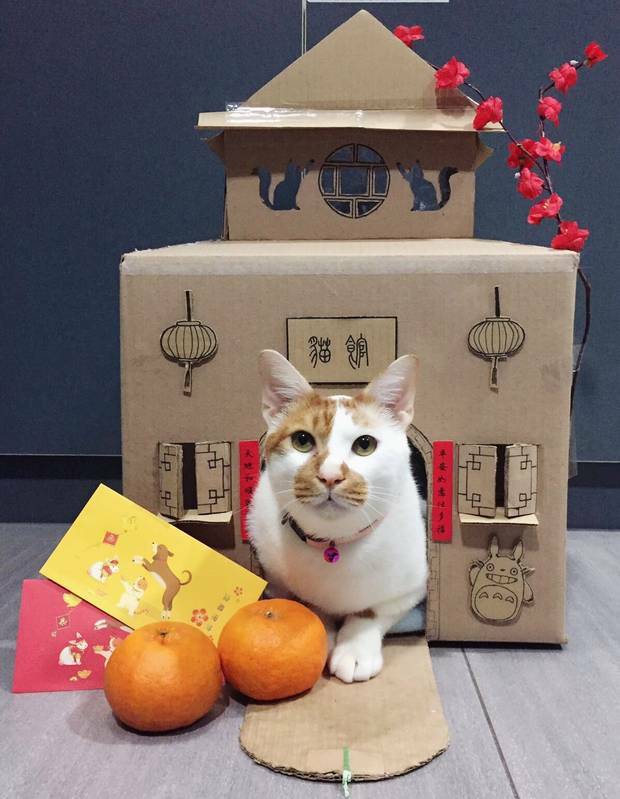 Want to make a cool cardboard house for your own cat? 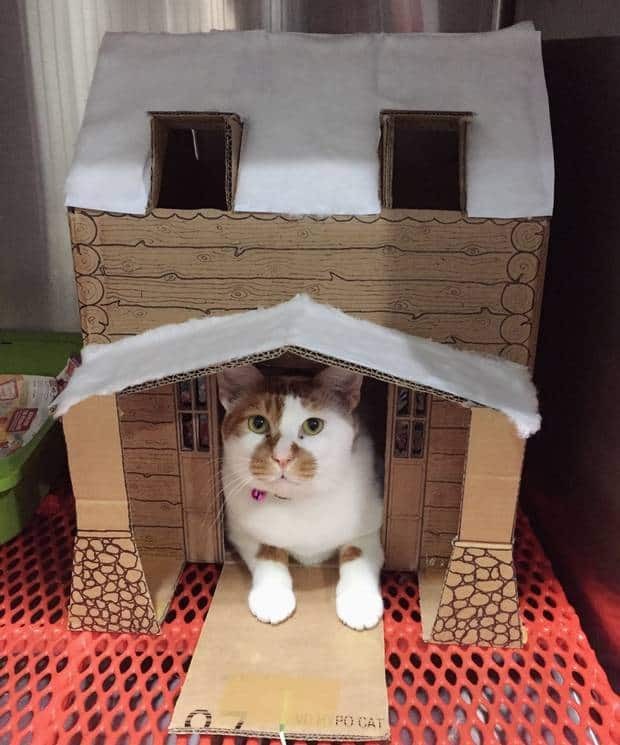 Click here to see how to make a super-cute two-story cardboard cat house! 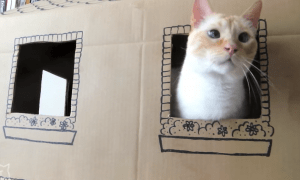 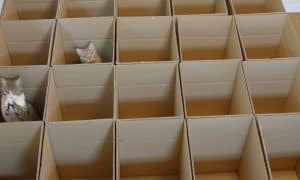 Cardboard Box Craziness for Multiple Cats!